Well, the painting over the last couple of days has gone well. Or more, the painting yesterday went very well, to make up for the fact that I was going to get very little done today! Might get a little more done before hockey training, but it is unlikely! So, what did I get done? How about half a unit of KGL? 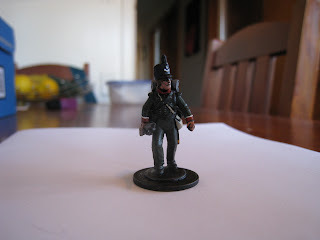 Herr Commandant, looking classy as ever! But wait, there is more! 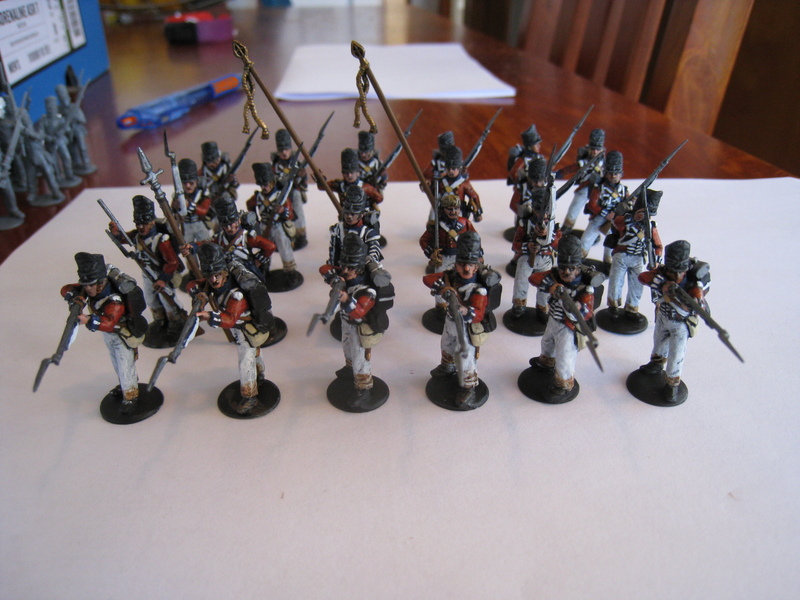 I got sick of painting red; so I painted up two skirmisher stands for the army, these represent the 60th Rifles (Royal Americans). 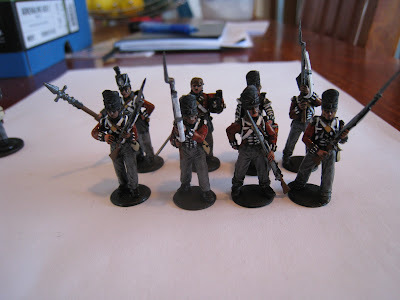 I opted for these over the (far more popular) 95th rifles because the Royal Americans fought alot with the Guards; plus they have some sweet red cuffs! 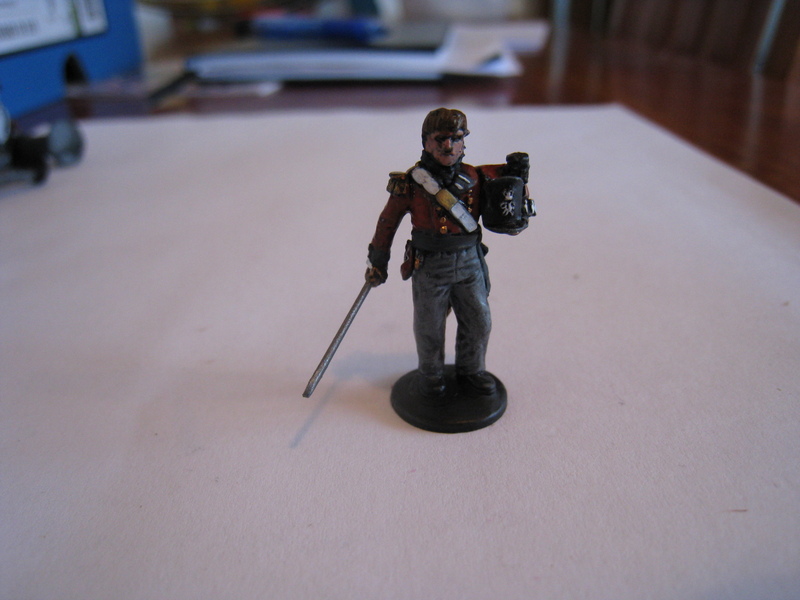 I still don't really have a handle on the "painting faces" aspect of 28mm modelling; but I guess I have plenty more models to practice on! Overall, at this point I am pretty happy with how my guys look. Quality basing will bump them up as a force, and as of this morning I have a pretty good way to get 50mm bases I think, so watch this space, there might actually be some based troops sometime! Great looking army and I like the mix of forces as well. I've never seen the KGL on a tabletop before but I have read about them. The Royal Americans! Fracking awesome. Someone in an early Psyops unit made that happen eh. Thanks man! I am hoping to have a pretty good mix of troops; if for no better reason than to give me some fun stuff to paint! There is a very cool unit half assembled so far; they will be my next project! This are looking really good Pooch! Very much looking forward to getting some Frenchies to take them on eventually!. I may also have some spare Victrix British sprues, not sure how many models are one them but will bring them along tonight.